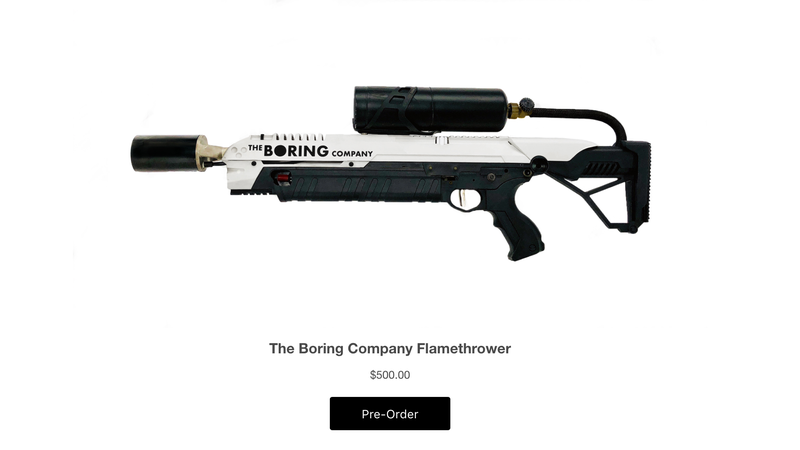 It turns out California lawmakers do not in fact care enough about Elon Musk and the Boring Company’s plan to sell $10 millions’ worth of really big crème brûlée torches tooled up to look like flamethrowers to pass a law preventing it, or at least they don’t care enough to anger the state’s gun lobby. The San Francisco Chronicle recently reported that state Assemblyman Miguel Santiago’s bill to more closely regulate flamethrowers is being held in committee, which has effectively killed the legislation. Although the bill was supported by police and firefighters, Santiago immediately faced opposition from gun-rights advocates. As Ars Technica notes, while California law currently requires owners of flamethrowers that can shoot further than 10 feet to obtain a $425 permit, there are few other regulations. There are no federal laws preventing ownership of such devices, and California’s permitting process and a total ban in Maryland are effectively the only state-level restrictions on ownership. Videos show the Boring Company’s torches aren’t ranged anywhere close to 10 feet, and can achieve a spray more like three to four feet, max. After Musk tweeted that the ATF was “A-ok” with devices of that specification, an ATF spokesperson was even forced to clarify it doesn’t regulate flamethrowers at all and they were not even sure which agency does. 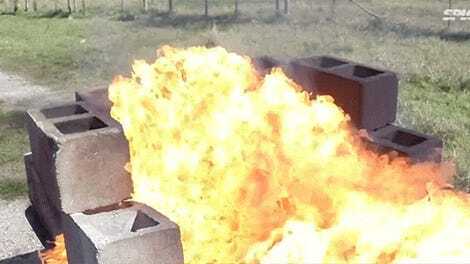 Flamethrower manufacturers say Musk’s foray into flamethrowers has led to more interest in their own products. [Throwflame Chief Executive Quinn Whitehead] said Throwflame customers have placed “quite a few” orders since Musk first began tweeting about his flamethrower promotion. Throwflame’s signature product is the X15 Flamethrower, which starts around $1,600 and has a range of about 50 feet. Whitehead said the company, founded in 2015, has sold several thousand X15 flamethrowers in the last year or so, though it’s still a niche market. With the failure of the bill, Musk is cleared to ship the torches to recipients in California with no issues. However, if he was at all serious about his jokey plan to get them through international customs with labels saying “Not A Flamethrower,” some shipping delays for other buyers may be inevitable. Is It Legal to Own a Flamethrower?